This novel was not at all what I expected, and that is exactly why I thought this story was great. It started off in the typical guy meets girl instant world romance, but it turned out to be so much more then I could have ever imagined it being. I knew something was going to be amiss when I read the prologue, and oh did it intrigue the heck out of me! We have Gabriella the lead heroine in the story whom is struggling to find herself years after her parents both died. She is lonely, working a mediocre job with no friends or social life. 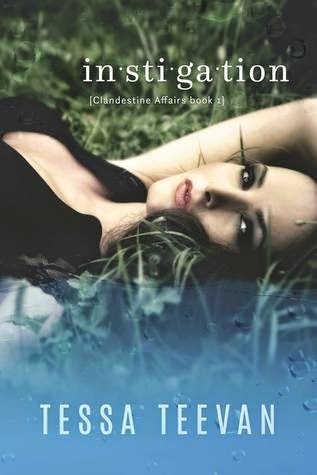 One day she meets a very mysterious man named Adrian, a wealthy attractive guy full of secrets. While Gabriella, is to me, in a weakened state emotionally he picks up on that, and sweeps her off her feet. It happens a little quickly for my liking, but it kind of has to due to the momentum of where the story is building. I am not one for instant love, but I understood why it needed to be done to keep up pace. I was very angry with Adrian in the beginning. Without revealing too much let’s just say the secrets and lies told had me wanting to choke him. I wanted Gabriella to run as far away as she could get. He is a love to hate kind of guy, alas he has his reasons, and I can’t wait to find them out. In the interim between living with Adrian. Yes she moves in with him. What do you expect, when she is broken and lonely? He is out of town a lot for business, which she can never attend, due to a shady circumstance. 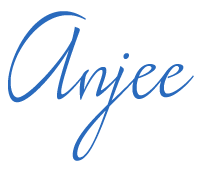 I know you are saying to yourself way to be vague Anjee, but I can’t reveal anything or it will take away from everything. Moving forward Adrian has to leave for a month. Meanwhile another man with a whole other bunch of possibilities that you guessed it! Has secrets as well comes into Gabriella’s life. Rafe is in the construction business doing a job for Adrian. Without going into too much detail let’s just say Rafe is not what he seems. He too sees Gabriella’s vulnerability and is quick to make her love him. The whole story is so complex with its twists and turns not even I have figured it out. Oh but I have my theories already working in the brain.